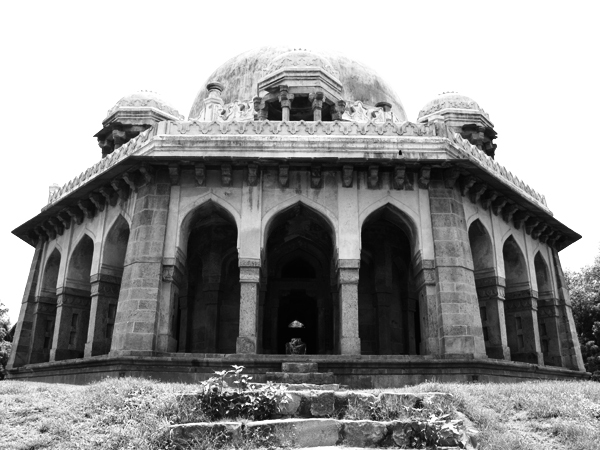 While hoofing it to bustling Khan Market, the AIG stumbled upon lovely Lodhi Gardens. The meticulously maintained park is the perfect place to get away from the dusty traffic. You can climb through tombs dating back to the 15th century or relax by the pond with the green parakeets under massive palm trees. 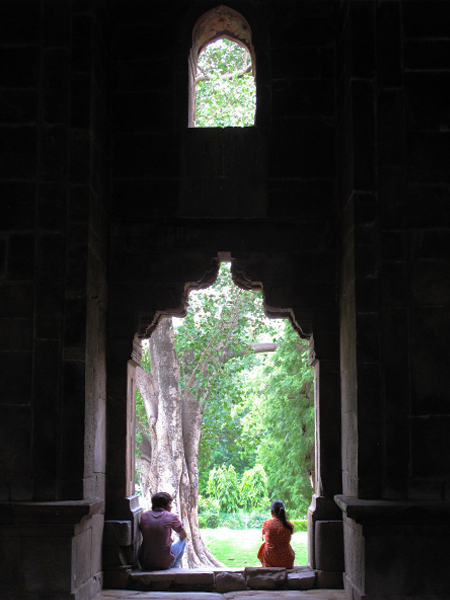 While deciphering ancient wall carvings, the AIG befriended a New York Times foreign correspondent stationed in Delhi who was as impressed with our job as we were with his. Business cards were exchanged and plans for a full page write up were discussed (mostly after he left). This entry was posted in Places, Travel and tagged Culture, Delhi, India.